51 registered members (Anthony, 2015_PSD, A1O, bbhero, Bailes1992, 6 invisible), 686 guests, and 26 spiders. The driver uses this car for Uber. Between his day job and Uber, he puts on about 8k/month. Supposedly it only started making noise �a few days ago� and the car still stopped fine under most conditions. Point is, be careful out there. Some of these Uber guys are not taking care of their cars. They are not professional drivers. Do cab drivers do more frequent maintenance on their cars? I see it as a bit of a toss up between using Uber or a cab. Most cabs/shuttles I ride tend to be run professionally and are somewhat clean. This comes at a price, though. Uber can be dirt cheap during off peak hours, but on my last Uber ride, the driver had his WIFE with him and they had literally just picked up some burgers and fries from a Whataburger. The entire car smelled of onions. If it was an Uber driver, I'd throw on Wagner QuickStop semi-metallics or anything from O'Reilly/AutoZone and white box rotors and call it a day. Last edited by nthach; 03/16/18 12:23 AM. 8k miles a month is 266 miles a day. A few days of grinding could have been 800 miles! Just imagine crossing the street with that heap barreling toward the intersection! its not only uber drivers. When I was still an appraiser I had to go look at an airport taxi that one of our insureds hit. I went to the taxi "yard" and what I saw astounded me. Most of the van are rebuilt salvage that are just cut and welded together with absolutely zero adherence to factory guidelines, then repainted. I saw what ever pad where laying around and fit used on sketchy rotors,I wish i still had the old pictures I took it was really something. Next time you grab a cab at DFW airport check the door frame odds are that it is a different color than the vehicle and check the floor I bet you can feel the weld even with shoes on. I will never take a cab if I can avoid it. i once walked into an oreilly's right after a guy had left that had purchased some brake parts and the parts guys were laughing at something and the one parts guy is like, well you might as show him as well......and i was like what? I'd buy Callahan autoparts if I could. At least when it comes to a cab, there's a reasonable chance that it might be part of a small fleet (i.e. someone operating four or five cabs under a larger banner), with someone who has some idea that things have to be checked, or, as indicated in the original post, that a "professional driver" might be more likely to pay attention to these things. Besides, at least in some jurisdiction, taxis are subject to regular inspections. Back in the day, the best comparison I could come up with would be taxi drivers to pizza delivery drivers, since there was no Uber then. The pizza drivers weren't subject to inspections, and you'd be more likely to find a younger person, or a part timer, with less resources to keep maintenance up. Yikes, that was a bad accident waiting to happen. 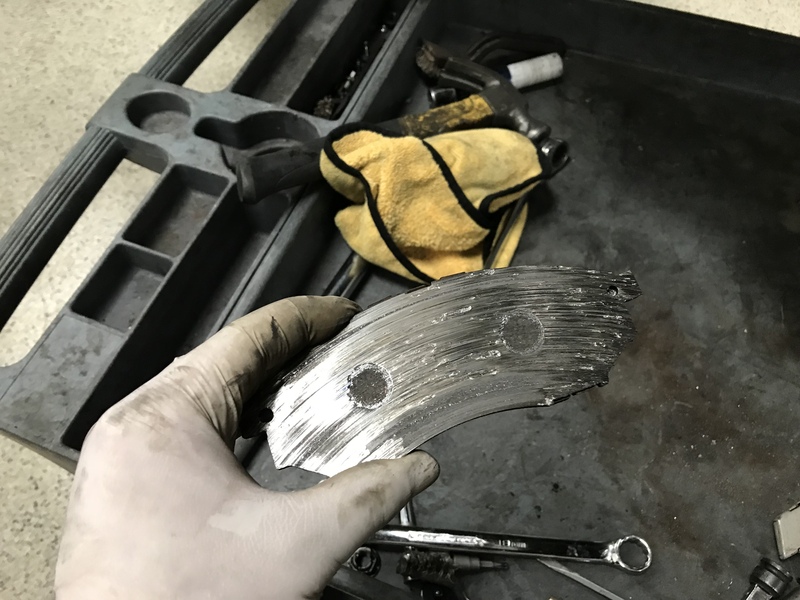 How dumb can a person be to ignore the sounds and immediately take it in for service. The local uber drivers here have decent cars. Some of our local private owned taxi's creak, rattle and clunk down the road. Recent inspection that was essentially retaliation complaint by Uber drivers/lawyers ended up with a few local taxi's being pulled from road due to poor condition. I think it was to make a counter point. Last edited by madRiver; 03/16/18 06:25 AM. If so... I never mentioned anything about the person being an Uber driver. 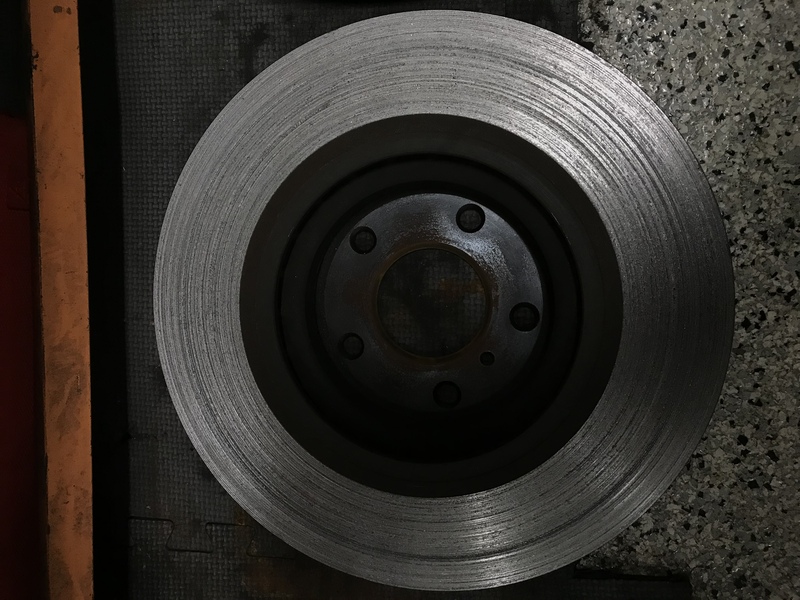 Common sense is that if you hear noises coming from your brakes (which are extremely important) the owner of vehicle needs to have it checked ASAP. Directed at no one as it is a false unfounded statement likely based on observation of one driver long ago. Uber drivers are getting grouped in a similar way not doing maintenance, dangerous etc. I edited while you posted and didn't capture my edit. No again not directed at anyone specific just the vibe of the thread. Life happens and parts fail sometimes quickly I find Uber to be a decent service and if the driver showed up in a car like that with grinding brakes you can refuse service. I have refused service from local taxi as they sent a junk pile and smelled. The driver was very bent out of shape but they filled the request.